The findings amount to a major victory for Mr Trump after 22 months of Mr Mueller's investigation and triggered celebration from the White House and leading Republicans. Sarah Sanders, the White House press secretary, said: "The findings of the Department of Justice are a total and complete exoneration of the President of the United States." Lindsey Graham, the Republican senator close to Mr Trump, tweeted: "Good day for the rule of law. Great day for President Trump and his team. "No collusion and no obstruction. The cloud hanging over President Trump has been removed by this report." However Democrats are demanding that Mr Mueller's full confidential report be published and that all the underlying documents be handed to Congress so they can be reviewed. The topline findings from Mr Mueller's report were contained in a four-page summary written by William Barr, the US attorney general. In the summary, Mr Mueller is quoted saying: "[T]he investigation did not establish that members of the Trump Campaign conspired or coordinated with the Russian government in its election interference activities." That finding was effectively victory for the US president, who has been saying constantly during the two years since he entered the White House that there had been "no collusion". 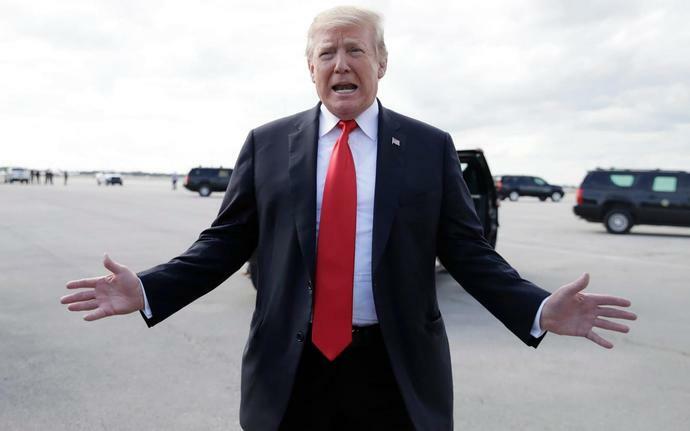 As well as clearing Mr Trump and his campaign of conspiring with the Kremlin, Mr Mueller's report also dealt with the allegations that the US president had obstructed justice by hampering the investigation. Mr Barr's summary cites Mr Mueller referencing "difficult issues" of law and fact - a likely nod to Department of Justice guidelines that say a sitting president cannot be indicted. The summary of the report quotes Mr Mueller saying of obstruction of justice: "While this report does not conclude that the President committed a crime, it also does not exonerate him". Mr Barr and Rod Rosenstein, the deputy attorney general, decided there was not enough evidence to conclude that Mr Trump had acted with "corrupt intent", and therefore decided he had not obstructed justice.